The latest recorded U.S. birth rate dropped for the second year in a row, down 3% from the prior year. In 2017, there were just under 4 million births, 500,000 fewer than in 2007. Even though there has been a 7% increase in women 20 to 39, women are delaying child birth. Over the past 10 years, women in their 30’s are now having more babies than women in their 20’s. If you look at US health care outcomes, women can hardly be criticized for being cautious. Moms giving birth in the U.S. are three times as likely to die in the process as moms in Canada or the U.K. But that’s not the worst of it. For every woman who does die, 70 more (an estimated 50,000 moms) come close to dying. The Obama administration recognized that lack of access to health insurance was a large factor, and targeted women for coverage. As a result, uninsured women under age 65 dropped from 20% to 11% overall, and for poor women uninsured declined from 34% to 18%. 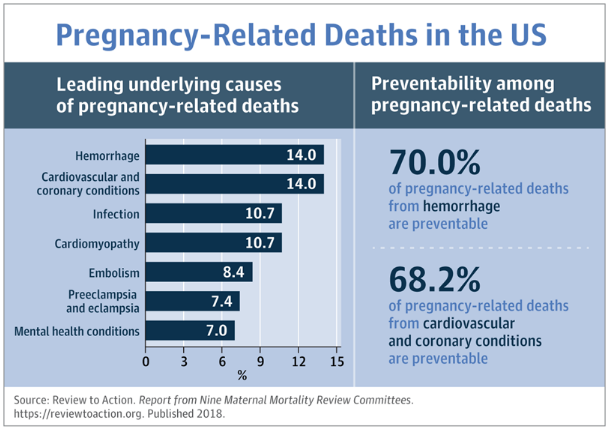 For all interested in national health reform in the U.S., the measures of maternal-fetal health, safety, and care should be ground zero. That our performance – in 3rd world ratings for morbidity and mortality of both mothers and children – reflects the total absence of a national health plan let alone a national health system should be a national scandal. We fail on every measure, even those most believe are our strong suits – like medical research. 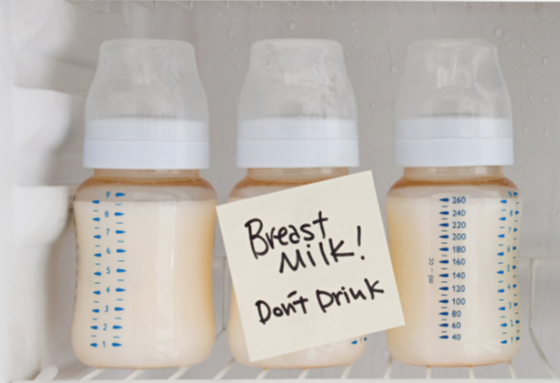 Case in point: Is the breast milk we’re feeding our children safe? This is the question raised in a New England Journal of Medicine article this week. It notes that 8 in 10 American women breast feed (at in least in part) during the first six months of their children’s lives. But we also know that over half (over 1.5 million lactating women) take one or more prescription drugs during that period. And these mothers often ask, is the milk safe? You would think their doctors would know, but they don’t. After two decades of badgering, in 2006, the National Library of Medicine created a voluntary database called LactMed. Twelve years later, in 2018, there were 1408 products in the database. But only 2% had strong, evidence based data to support conclusions of safety. This was consistent with an FDA analysis of 575 drugs in 2018 which included data on human lactation in only 15%. Research on breast-feeding, lactation, and breast milk garnered only .3% of the NIH budget in 2017. If you want to rise quickly in academic medicine, cancer or diabetes research if a far more lucrative and productive pathway. But what if you’re a new mom trying to do right by your baby, and you’re on anti-hypertensive meds, is that OK? We don’t know. How about if you’re having trouble getting your milk to come in, and your doctor tells you to take the GI drug, metoclopramide, said to have an off-label benefit of increasing milk supply. Is that safe for your baby? We don’t know. Bottom line is, when it comes to running a health care system, our priorities are all screwed up. And as health industry profiteers pursue their wildest genomic dreams, moms are left to wonder why they always seem to get the short end of the stick. I mean really – Is this any way to run a health care system? For Truman, there was a double irony that day in 1965. First of all, the signing was occurring at around the same time as our neighbor to the north was signing their own national health plan, also called “Medicare”, but there’s covered all Canadian citizens, not just the elderly. The second incongruity was that Truman was fully aware that in 1945, as he was being tarred and feathered as unpatriotic by taxpayers for having the gall to suggest that health care was a human right, those very same citizens were unknowingly funding the creation of national health plans as democracy stabilizers in our two primary vanquished enemies – Germany and Japan – as part of the US taxpayer supported Marshall Plan. Fast forward more than a half century, and we’re still trying to correct the error, and make Medicare available to all citizens. For nearly all Democrats, and for many Republicans, as I’ve stated, the focus now is on “for all”. Arguably we’ve not quite evolved as a culture or society to embrace the notion of “all for one, and one for all.” That would require not only universality but a sense of solidarity, which goes against several hundred years of ultra-competitive capitalism. But what if we were to shoot for “Capitalism Plus” with the (+) being compassion? Our Medicare continues to have very high satisfaction scores among citizens over 65. So theoretically, it shouldn’t have to be forced on anyone. That’s why, this week, potential Presidential candidate, Sen. Michael Bennet (D-Colo.), along with former VP candidate, Sen. Tim Caine (D-VA), suggested that pull vs. push was the way to go. Their “Medicare-X” would allow anyone who chooses, to buy into Medicare. You like your employer insurance, with diminishing benefits and ever increasing deductibles and co-pays? Terrific, keep it! But if you would prefer the public plan with maternity benefits and mental health, with prevention and safeguards for pre-existing conditions, join the team. 1. Less is more. Insurance Simplicity = Savings and Enhanced Quality and Performance. 16 health workers for ever physician – that’s ridiculous. 2. Health = Full Human Potential (not the elimination of disease). Innovative Research is great, but it is no substitute for national health planning and public health programming. 3. The Public Option must eliminate Medical Industrial Complex profiteering. It hurts our nation and our citizens in equal measure. Reinsert appropriate checks and balances. Last week our “somewhat-less-than-excellent” American culture took an extra Trumpian hit. But this had nothing to do with gender abuse, or separating innocent children from their desperate parents, or even moves to knock 20 million Americans off their ACA enabled health insurance. No this latest offense involved celebrities and the super-rich bribing their children’s pathways into elite colleges. While many expressed surprise and bewilderment, I was not among them. The reason can be found in chapter 8 of “Code Blue: Inside the Medical Industrial Complex” (Grove Atlantic/June 4, 2019). In that chapter, I disclose how some parents, in concert with local teachers and compliant physicians, placed their young children on Ritalin and Adderall to improve their performance on standardized tests. According to the American Psychological Association, attention deficit hyperactivity disorder (ADHD) affects 5 percent of America’s youngsters, though nearly 15 percent of high-school-age boys have been labeled with the condition. Yet no blood test or imaging study is available to confirm the diagnosis; there’s just a weakly validated 39-question yes-or-no survey that’s distributed far and wide in pediatricians’ offices, through the media, and through public and private schools nationwide. When the diagnosis is broken down by gender, demographics, and geography, the distribution of ADHD becomes even more mystifying and disturbing. Rates can double and triple in areas, most notably Arkansas, Kentucky,Louisiana, and Tennessee, where schools promote the diagnosis and local physicians are willing to play along and prescribe. Encouraged by a million-dollar grant from CIBA pharmaceuticals(originally Chemical Industries Basel) in 1989, Children and Adults with Attention Deficit Hyperactivity Disorder (CHADD), with 34,000 members in 640 chapters, currently trumpets, on its website, the “12 amazing superpowers” associated with hyperactivity. The problem is that even when these pills deliver short-term, positive results, they short circuit the child’s development of strategies that can provide long-term solutions and success in adulthood. And as one might predict, anything in our culture that promises a quicker route to academic success is an invitation for illicit use. Q. Who invented the name Ritalin? Jerome Powell with Scott Pelly on 60 Minutes. Jerome Powell: Part of it is evolving technology. So as technology evolves, it requires rising skills on the part of the people. U.S. educational attainment has not moved up as rapidly as it has in other countries. Globalization’s also a factor. For many advanced economies, manufacturing to some extent, has moved into developing countries. So for whatever reason, and the opioid crisis is related to I think to those other factors. Jerome Powell: The opioid crisis is millions of people. They tend to be young males. And it’s a very significant problem. And it’s part of a larger picture. Jerome Powell: That is the issue. When you have people who are not taking part in the economic life of a country in a meaningful way, who don’t have the skills and aptitudes to play a role or who are not doing so because of because they’re addicted to drugs, or in jail, then in a sense they are being left behind. As if Princeton economists discovery that the manmade opioid epidemic had bent the US survival curve downward (notably for white males) wasn’t enough. Now we see the secondary impact of losing a generation of young workers on our economy overall. For those responsible for igniting this disaster, a day of reckoning is fast approaching. Of course Pharma is in the cross-hairs – notably Purdue Pharma, Cephalon, J&J, Endo Health Solutions and Actavis. Then come the wholesale drug distributors including AmerisourceBergen Corporation (NYSE:ABC), Cardinal Health, Inc. (NYSE:CAH) and McKesson Corporation (NYSE:MCK). Giant retail conglomerates like CVS and Walgreen’s could also be caught in the snare. There are also enablers like the AMA which accepted into its Federation a new Pharma-funded pain society which convinced the nation’s doctors that pain was the “5th vital sign”. The AMA also sold its Physician Masterfile Database to data miner IMS Health which allowed the opioid companies to target physicians through prescription profiling who were already sloppy prescribers. AMA sales of the data in 2006 alone brought in $44.5 million. And let’s not forget a range of bottom feeders like Rudy Giuliani and Bernard Kerik who Purdue Pharma hired to get Bush Administration officials to stand down in their planned prosecution of the company in 2004. Consider the lives that might have been saved had they failed. But now, the sheer scale of the disaster has caught up with many, if not all of the Medical Industrial Complex offenders. Attorney Mike Moore is leading over 30 state attorney generals in litigation, as he did in the 90’s with tobacco companies. Purdue Pharma is exploring bankruptcy with states pursuing the kind of claw-back on hidden Purdue family money that is reminiscent of the Bernard Madoff affair. Still and all, it’s pretty shocking that you can literally bring down your entire economy when a greedy profiteering group of health sectors decide to conspire and enable each other. No wonder a sizable portion of the nation is eyeing nationalizing of the health care system. They’re not voting for socialism, they’re voting against conspiracy, collusion, death and the destruction of America’s economy. “A doctor and medical historian relies on his experience inside the medical establishment to offer a searing and persuasive exposé of the American health care system. Magee, who is on the faculty of Presidents College at the University of Hartford, has worked as a doctor, a university medical school administrator, a hospital executive, and head of global medical affairs for Pfizer. About that last position, the author writes, “until I turned away in a kind of revulsion at the manipulation and well-financed maneuvering, I was right there, helping give moral cover and scientific legitimacy to the world’s largest drugmaker, which also happens to be an industry leader in penalty fees paid to the government for regulatory infractions.” Clearly, Magee understands that he has been complicit as an insider, and he issues mea culpas throughout the book. As part of his penance, he blows the whistle on guilty individuals involved with pharmaceutical companies, hospitals, health insurance corporations, the American Medical Association, medical schools, and all levels of U.S. government. Referring to this “network of mutually beneficial relationships” as the Medical Industrial Complex, he convincingly rails against an industry that consistently produces “outcomes that are, in general, truly dismal.” The inferiority of U.S. health care compared to dozens of other nations has been well-documented for several decades, and the author effectively builds on that documentation. He demonstrates how leaders of other nations have consciously decided that quality health care is a basic right for all citizens, in large part because a healthy citizenry is essential to economic well-being. However, decades ago, American leaders decided that quality health care was not a basic right of citizenship; instead, they chose to rely on market capitalism as the health care model, with disastrous results. Magee suggests multiple sensible reforms in the realms of medical education, clinical research, publication of medical trials, marketing by pharmaceutical companies, and politically driven interactions within the MIC.